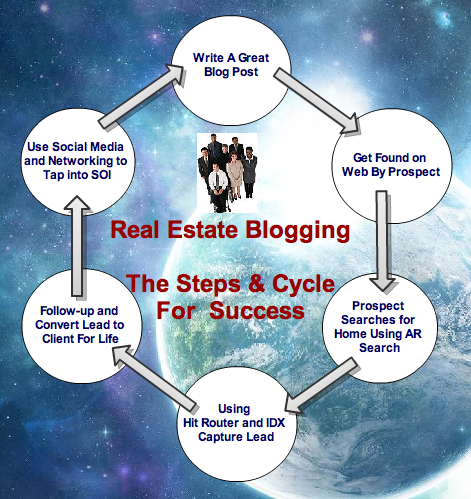 Are you a REALTOR or BROKER Blogging? Why are you Blogging? Who is your audience? What are you Blogging about? What are your ultimate intentions? What are your goals and desired results? Do you have a plan in place for success? Of course you do, or you wouldn’t be here. Writing your Blog posts to be discovered by search engines and consumers (intended audience) is the first step. How To Write a Blog post for Search Engines and Consumers. SEO is great, and being on the first page of Google is key, but it’s not the end all be all. Getting found on the search engines by consumers and having them actually click on and read your post is the goal. Using a simple strategy listed in the post referenced above will help. When visitors find your posts, they like you, your content, your experience and your area. Or Do They? Only they can decide this. You should write and be transparent. Just be yourself. Let them decide. The wider variety of content you supply consistently, the greater of an audience you will potentially reach. Now they are on your Blog or profile and decide to search for homes in your area. At this point you have no connection or way of tracking or contacting them unless they comment, email, or call you. This is where the importance of understanding the Blogging process comes into play. If you can get traffic and visitors up to this point, then you’re already half way there…The virtual “Handshake” takes place. 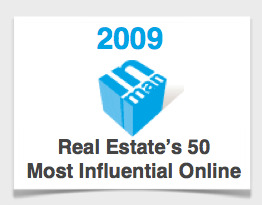 If Consumers do a search for homes on your Blog posts or Profile, where do they land? Have you setup your Hit Router to direct visitors to your MLS, IDX, or Listings in your area? Are you maximizing the potential for exposure on where consumers are searching for homes on ActiveRain? 100,000 homes were searched in a single month here. If your audience is the selling and buying consumer, this step is very important. There are many folk’s who miss this key ingredient and component on their Blogs. Having the right tools in place helps if you want to capture valuable traffic and leads. As consumers land on your designated Hit Router pages and IDX, are they setup properly? Make sure your traffic and visitors land on a site with the information they are asking for. This would not be a Blog, or a website, or an “about you” page. Those pages will get closed immediately. If they search for homes in Houston Texas, the next landing page should be just that. All the homes for Sale in Houston Texas. Period. To be sure, Do the searches yourself and use the correct URLs for your Hit Router and IDX linking. Don’t make them try to figure out how to use your site and do the searches by themselves. So now you have a great lead capture system and IDX setup using Hit Router but now what? Is it one, two, three, five, or seven clicks before you solicit their contact information for follow-up? This is a question that only YOU can answer. There is no right or wrong answer. Whatever you believe will work for you and your prospects, that is the best way to go. The problem is, some haven’t setup their IDX lead capture and have nothing in place. Some IDX sites out there don’t even offer or have the capability of creating a lead capture form. More importantly, some IDX sites won’t let you setup direct landing pages to listings that are being searched for in specified areas. Ouch! Making sure you have the proper tools in place and follow-up programs are important. Now that you have them in your store, are you effective in taking your leads to the next level? Do you have a program or tools that will assist you in the follow-up process over the necessary period of time it will take to convert them to closings? If not, then what is the point in all the rest of the efforts that you’re making to try and capture them as a lead or client anyway? Everyone knows that the key to any successes in any business is always based on the follow-up. Once you have completed the transaction and closing, what do you do next? Using the many social media platforms to connect to clients, friends of friends, and SOI’s is what it’s all about. Have you researched all the ways you can use many of these sites to tap into new friends and potential clients? This is Social Media Networking and Marketing at its finest. What better way to grow your sphere of influence than by doing it through your past and future clients? Followers on Twitter? Friends on FaceBook? Associates on LinkedIn etc. All great resources for growth and expansion. Remember, I know 100 people that you don’t, and you know 100 people that I don’t. Let’s both know 200 people!?!? Most clients and friends are for life. Having a good CRM and using your “Blog Library” of content is the best way to keep the cycle going and successful. Asking for referrals from the point of contract and tapping into others SOI will keep the pipeline refilling and the success cycle going. There is no better way to get in front of 100’s, 1000’s, maybe millions, than with your Great Blog and Social Networking skills.